ok, Mudskippers aren't really amphibians, they're actually fish, but they are so beautiful and unique i just had to mention them. 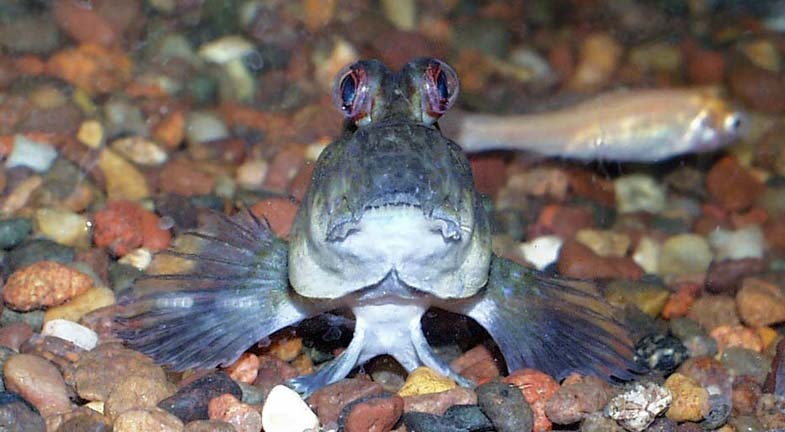 Mudskippers are a specialized group of Gobies characterized by having periscope-like eyes and muscular limb-like pectoral fins. they are found in coastal waters of the Indian and Pacific oceans. They live chiefly on mud flats and in brackish mangrove swamps and are adapted for remaining on dry land when the tide goes out. They have no special air-breathing organs, but absorb oxygen through the skin and gill chambers as long as these remain moist. 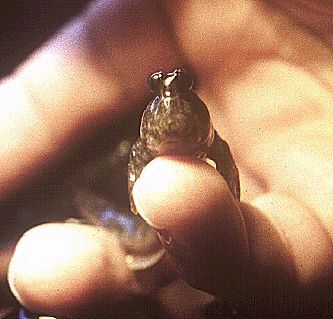 When out of water, mudskippers use the fleshy bases of their pectoral fins for propulsion on the ground, and members of the larger species can skip faster than a person can move. 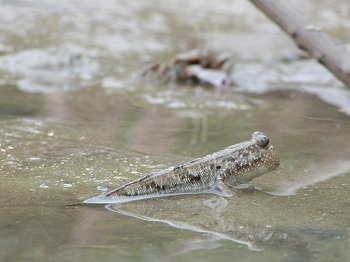 The mudskipper's diet includes insects and small fish. 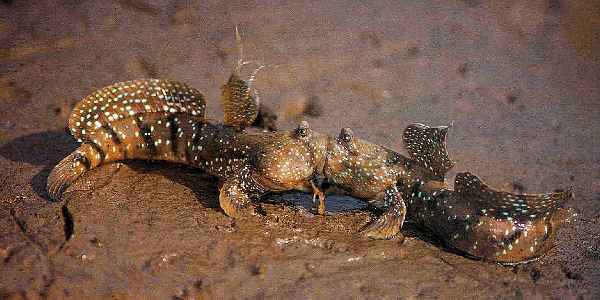 In case you want to get a pet mudskipper, don't forget, they are very sensitive and are used to warm temperatures, and therefore need a heated tank in the winter. they are most comfortable in temperatures between 25 and 30º C.
3 - 4 centimeters of water will be quiet enough for these extraordinary fish. don't forget to add rocks and a smooth branch to allow your mudskipper to rest outside of the water and to climb, just like they do in nature. 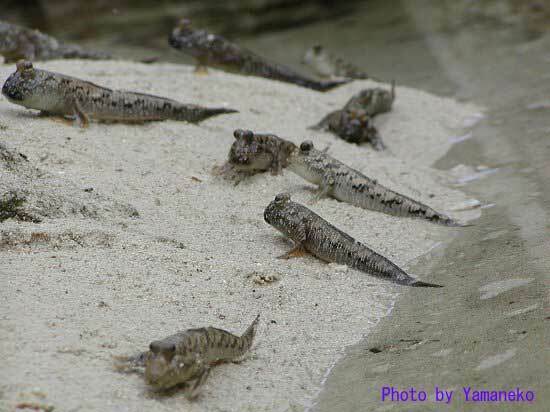 If you're getting a few mudskippers, don't hold your breath, they don't breed in captivity.